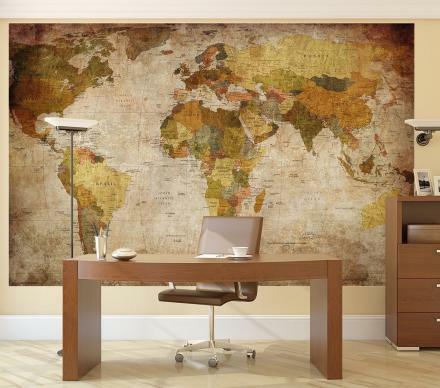 There's nothing classier than having a giant map as the backdrop to your office or man sanctuary. 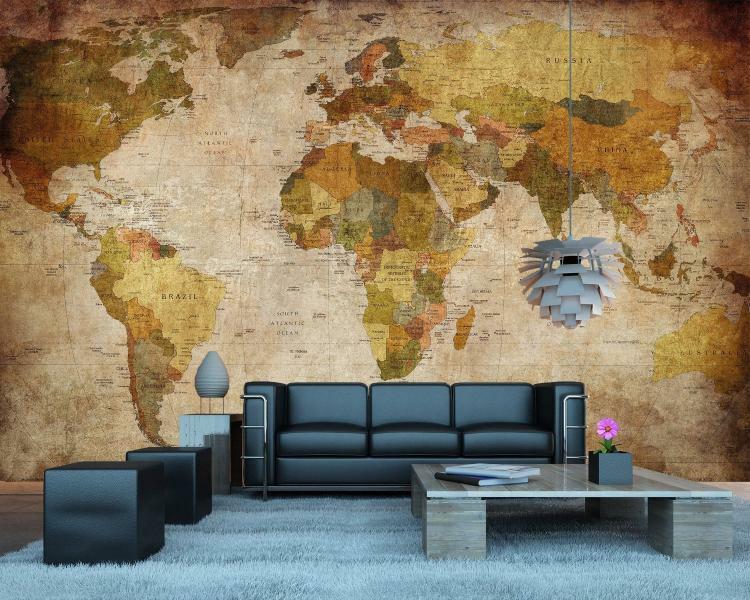 It makes you think you know a lot about the world and geography, and makes for a fantastic wall mural to look at while you sip on expensive scotch. 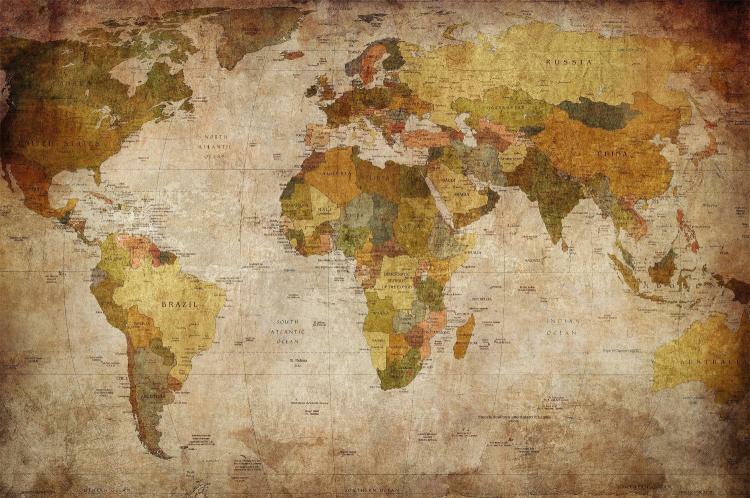 Also, it can't be just any kind of map, it must be vintage with drab colors, otherwise a brightly colored modern map just wouldn't have the same effect. 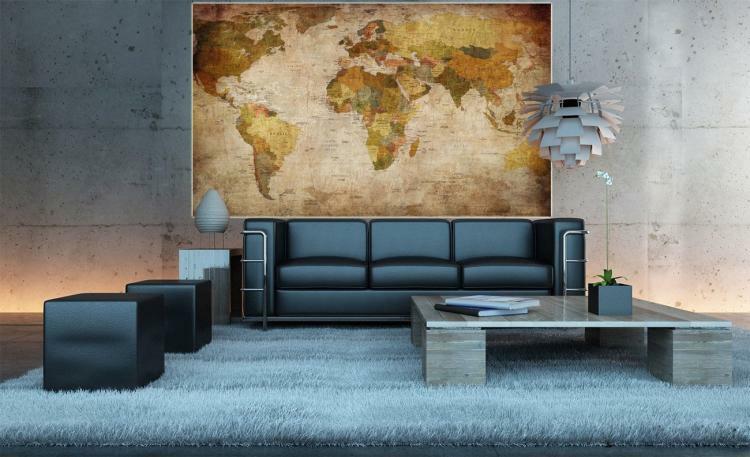 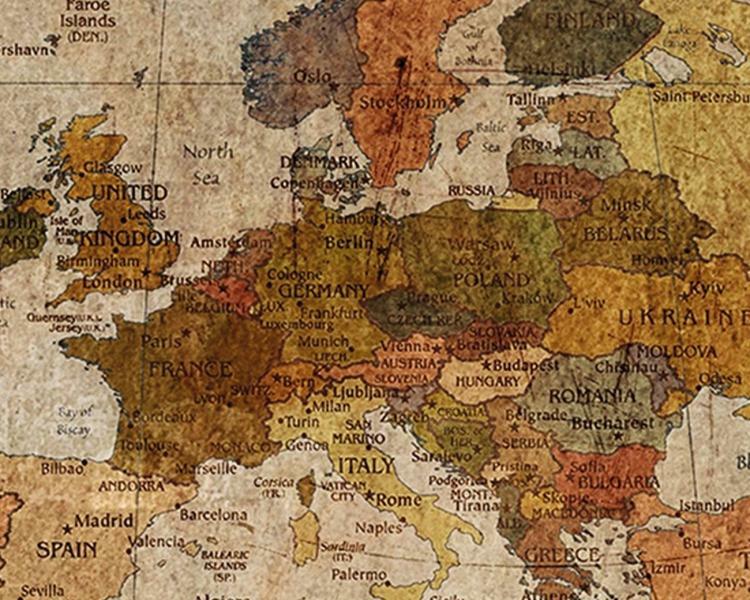 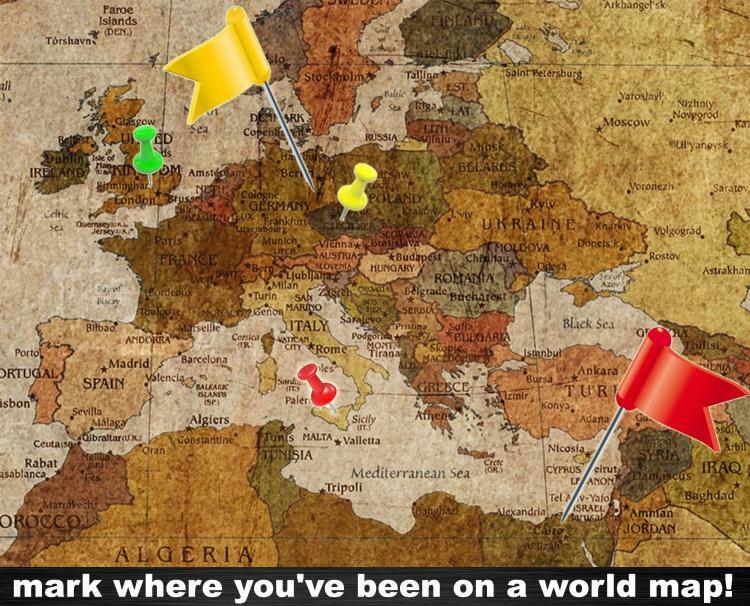 This vintage world map wall mural can be used as a photo wallpaper using wallpaper paste to attach to your wall, or it can be attached using simple thumb tacks to be used more as a poster. 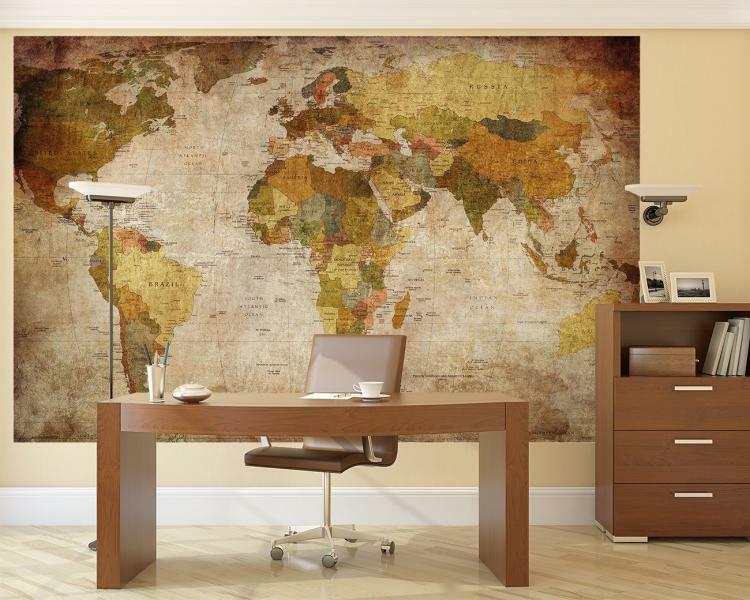 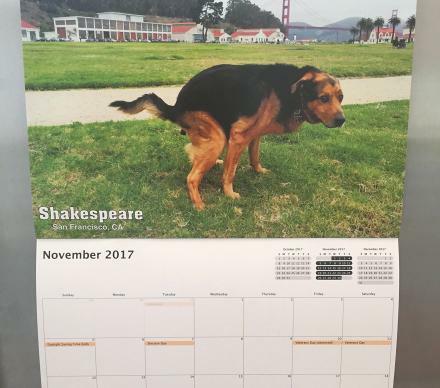 Or if you're really inclined on making it look classy you could get it framed to have the ultimate study of classiness. 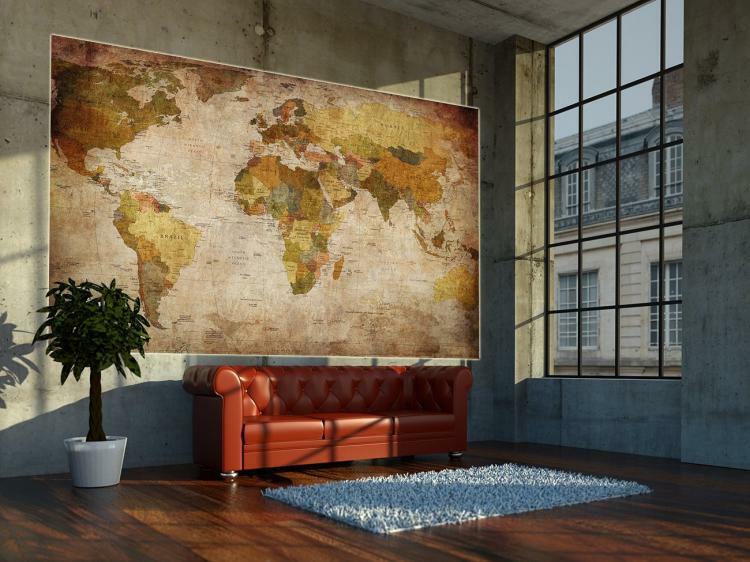 The vintage map wall mural comes in a few different sizes to choose from, a smaller one piece mural that measures 55 inches across by 39.4 inches tall, a medium sized mural that includes 5 separate pieces which measures 82.7 inches across by 55 inches tall when fully put together, or the largest version of the map wall mural that consists of 8 different pieces and measures 132 inches across by 93.7 inches tall when fully put together.